Read-out Instrumentation Signpost: Speaking the language of intelligent buildings! 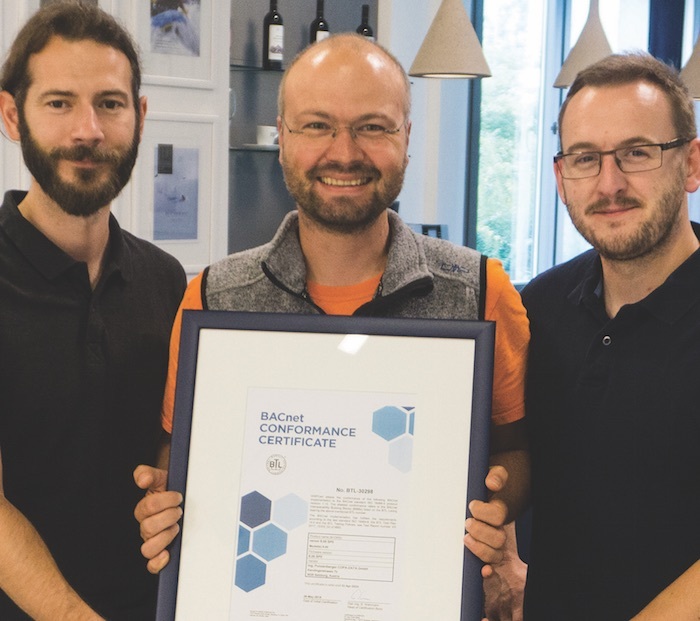 The BACnet Testing Laboratories (BTL), have confirmed that the automation software zenon by Copa-Data complies with the criteria of the BACnet standard. Entry onto the international list of products conforming with the standard and receipt of the BTL certificate affirm the reliable communication between zenon and other systems and devices in building automation. Each building is equipped with technology that fulfills a variety of tasks. The spectrum here ranges from heating, air conditioning, ventilation and sanitary systems to lighting management, lift monitoring, energy management or access control. To make sure that the different technologies can exchange data with each other, they need to speak the same language. BACnet, the international communications protocol, is primarily used for networks in building automation. To guarantee reliable and flexible communication in zenon projects in the area of building automation, COPA-DATA developed the native BACnetNG driver about ten years ago. The international BTL Listing attests that zenon 8.00 complies with the BACnet Operator Workstation Profile, or B-OWS Profile for short, of the ANSI (American National Standards Institute)/ASHRAE (American Society of Heating, Refrigerating and Air-Conditioning Engineers) standard 135-2012. To comply with one of the three profiles for user interfaces, products must meet certain criteria, such as setting values. On the basis of a profile, handlers can better classify the capabilities of a system or device in the BACnet environment.